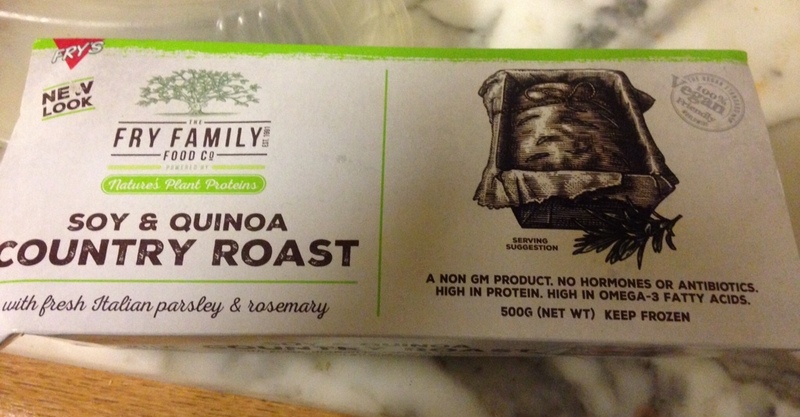 One of the goodies I picked up at VegFest in London over the weekend was a new product from Fry's Family foods – a soy and quinoa country roast. As I generally dine with a friend once a week I thought this would be an excellent opportunity to share and see how reaction compared between vegan and non-vegan tastebuds. Naomi, my charming host, had prepared a delicious autumn vegetable stew to go with it so we plated up and got stuck in. It sliced well, had a firm texture and a pleasing taste. 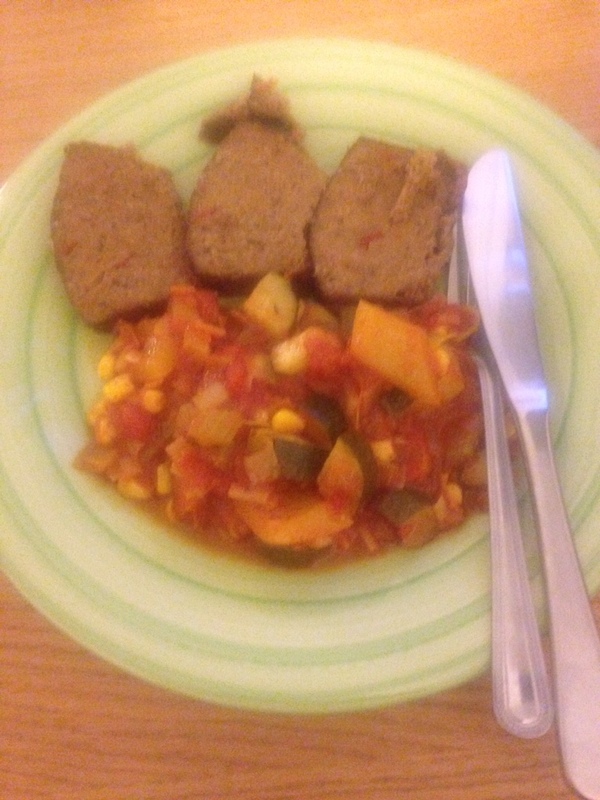 The vegetable stew turned out to be a great accompaniment (and much less bother than boiling potatoes and vegetables).